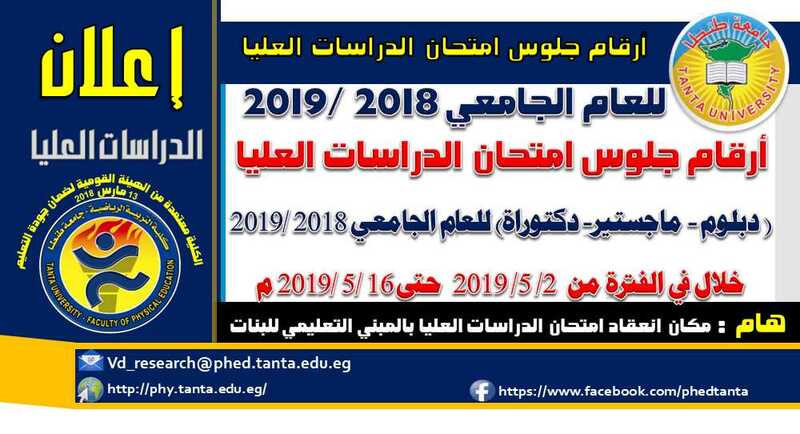 Tanta Faculty of Physical Education celebrates graduating a new class of students. 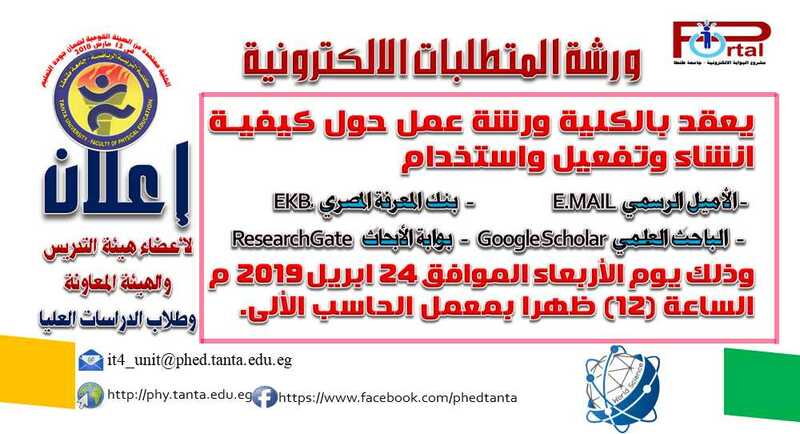 Faculty of Physical Education holds a workshop about how to set up, activate and use the official E-MAIL, EKB, Google Scholar and Research Gate. 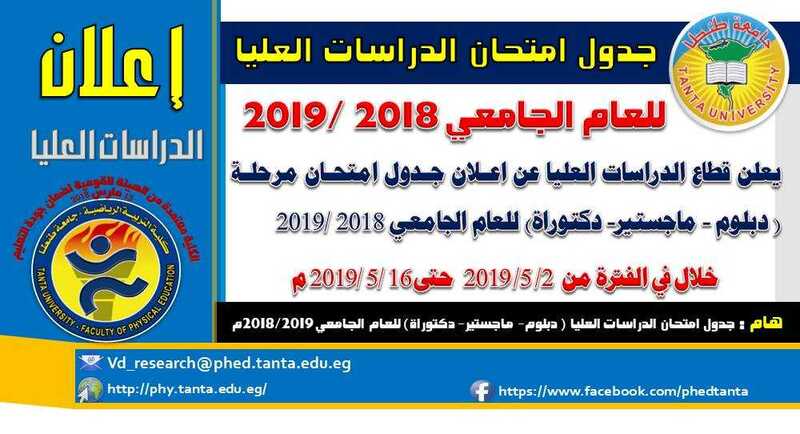 Postgraduate Studies sector at Faculty of Physical Education announces the places of holding postgraduate studies exams for the academic year 2018\2019. 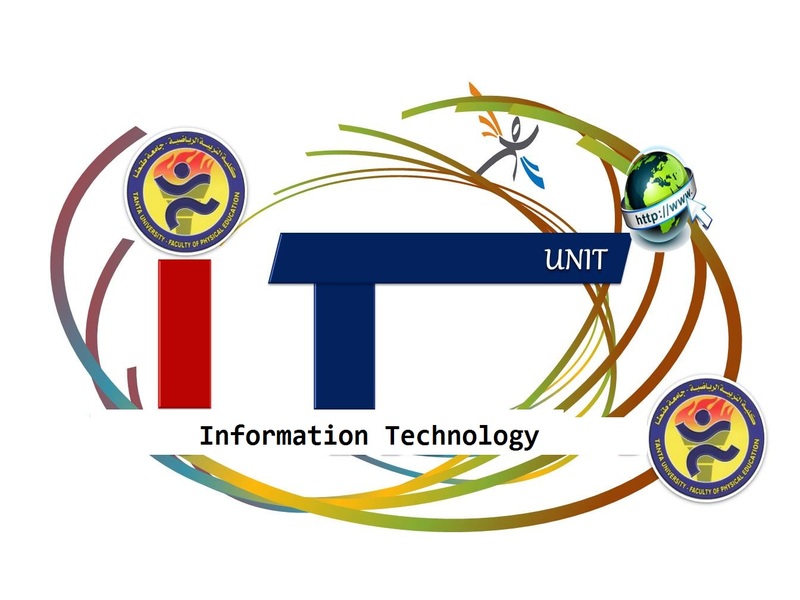 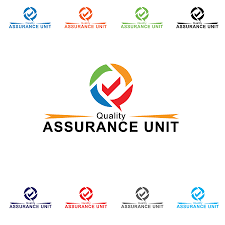 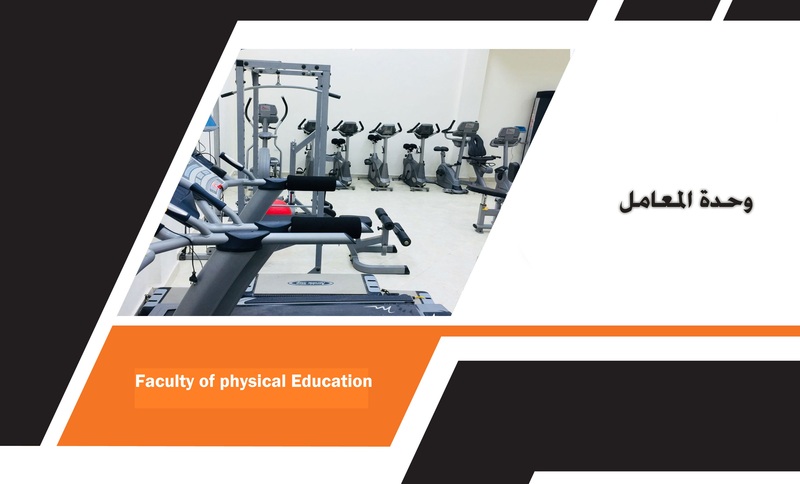 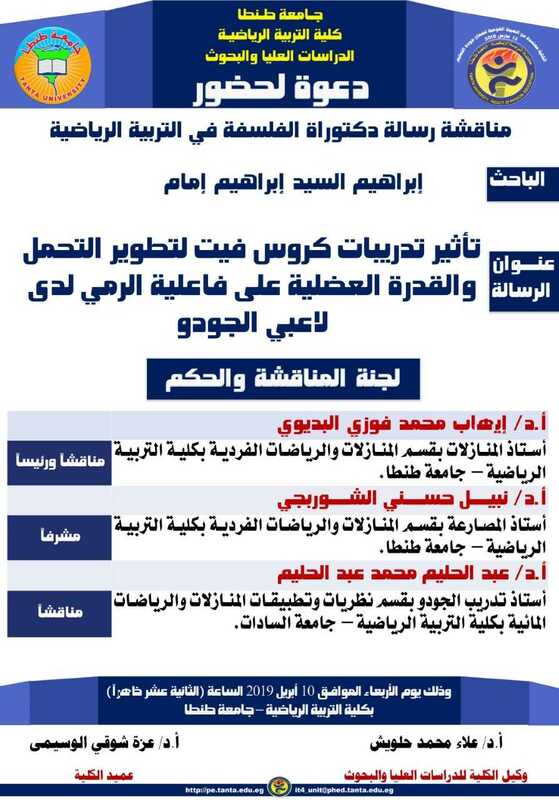 Postgraduate Studies Sector at Faculty of Physical Education announces holding the discussion of the Master's Thesis submitted by the researcher\ Marwa Mahmoud Mohammed Abdel Hamid El-Meseery. 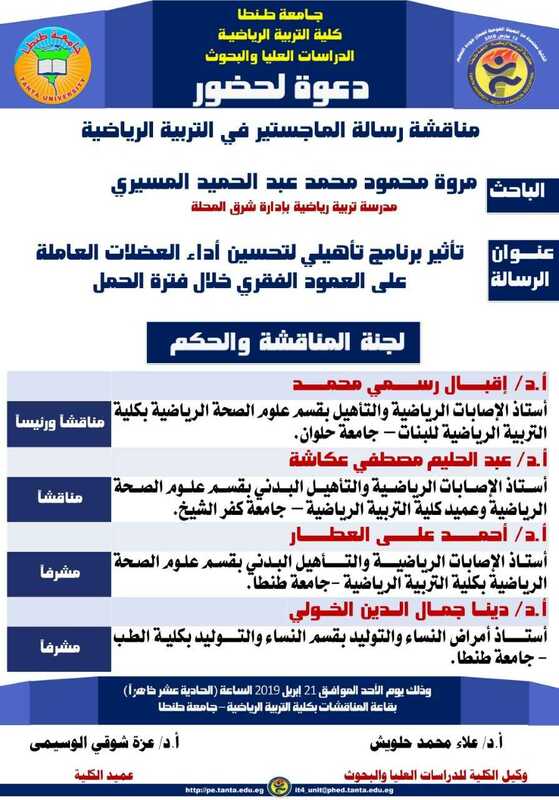 Postgraduate Studies Sector announces the Postgraduate studies exam schedule for the diploma, master and PhD for the academic year 2018\2019.